It’s been very busy months for me recently, juggling from different works left-and-right and guess what, I’m not complaining. Being busy is GOOD. It keeps you MOTIVATED. I’ve already expecting this to happen, as holidays are fast approaching and I need to work double-time to meet the deadlines. Anyway, all things are super FUN and EXCITING! Blogging is not all about glam, fabulousness and awesomeness. It needs HARD WORK, lots of PATIENCE, PASSION and DEDICATION. I’ve been in this industry for almost 5 years, and I’m so happy that my blog is gaining a lot of attention – a huge THANK YOU for all of you, my ever supportive readers worldwide! YEY! So today, allow me to share you one of the successful launch I’ve attended last month of October 2015. Clozette Philippines, one of the leading social media network of fashion and beauty bloggers in the Philippines, had been generously invited me for the launch of BLOGGER BABES ASIA here in Manila. It was a fun afternoon of chit-chat with girls – mostly bloggers of various niche, (and newbie bloggers) getting insider’s tips on how to successfully launch your own blog, knowing some helpful tips on taking good and curated photos, beauty tips, and a lot more! The launch was held in Vyne Tapaz Bar & Restaurant, a cozy place located at the penthouse of W Building in Bonifacio Global City, one of my favorite places in the city. They served some light snacks and some refreshments perfect for the afternoon event. I know that Philippines is the country in Asia which houses tons of bloggers in different niche, and I’m still got surprised when I saw lots of ladies (yeah I wonder, where are the males???) attended the launch. 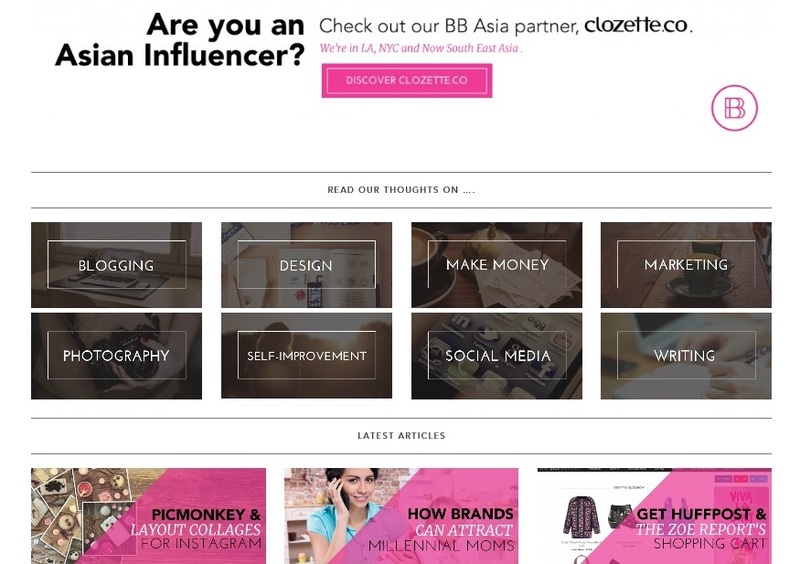 Clozette Philippines is doing a great job on building a community of bloggers and sharing their insightful fashion and beauty tips for their growing readers. NO offence on money talk because yup, you could earn REAL MONEY on blogging, but talking about it too early makes me feels off. Like I’ve said previously, blogging is about passion, hard work and dedication. Also a HUGE PATIENCE. It’s like curating your presentation for the client for a project, and when you feel that you make your client convince with your products or services, then it time for money talk. Blogger Babes Asia successfully launched in Manila. Good thing about this event is that some selected power bloggers like Heidi Nazarudin of TheAmbitionista.com, the Enciso Sisters, and Decena sisters shared their insightful experiences on launching their blogs, their old beginnings, the ups-and-downs, and also the fruit of their labor, in successfully launching their own BRAND. We are so excited that Clozette team has this really cool collaboration with Blogger Babes, a US-based community site for bloggers. Heidi Nazarudin of TheAmbinionista.com and CEO & Co-Founder of US-based Blogger Babes, travelled all the way from US going here to Asia for the launch of Blogger Babes Asia in Kuala Lumpur Malaysia, Singapore, and now here in Bonifacio Global City, Philippines! A true-blue cosmopolitan girl, having a comfortable and successful corporate life to pursue her passion for fashion 7 years ago, Heidi encountered few failed ventures along the way before launching TheAmbitionista.com in early 2013. Her persistence and accomplishments landed her the opportunity to work with brands and publications such as Vanity Fair, Saks 5th Avenue, Giorgio Armani Beauty and Max Mara. She founded Blogger Babes at her Santa Monica home with a simple goal in mind: to form a casual bloggers community to build camaraderie and share experiences. Blogger Babes became an overnight hit, currently having more than 5,000 blogger members and continuously rising. Now coming back here in Asia (yes, she’s also an Asian born in Malaysia) Heidi shared us how to make good blog post, nice angled photos, and scheduling our posts. She also candidly shared her tips on how to conquer the writer’s block on us. Yeah, I totally agree with her, because I’m also having that block from time-to-time. AS bubbly as ever, these Enciso sisters (Vern and Verniece of http://www.vernverniece.com/ shared they funny and dramatic stories behind their blog, and how they started it – a blog that becomes their sisterly-bond, and is now one of the top blogs in the country, successfully endorsing known brands, and even publishing their own fashion guide book! Speaking of brand endorsements and product reviews, there are some issues readers and newbie bloggers wants to know. The Enciso sisters shared that when issues arise on sponsored posts like product reviews, (for example reviewing a skincare product and it happens that the item doesn’t give you a good effect) they opt to discretely discuss it with the brand manager or team, to avoid the conflicts. Doing it professionally retains your good image and credibility of your blog and the brand you have, and that makes you more respectful in the industry. Same with the Decena sisters, who gladly shared their beauty insights and on how to make a good and viral videos for aspiring vbloggers. To sum it up, I was impressed with this launch – simple, intimate, and also fun! Thanks to the organizers Clozette Philippines and Blogger Babes Asia, and also to their speakers. They are all candid and you will learn a lot! That afternoon I wasn’t expecting to see my friend, Mommy Lariza. She is also one of the hard-working Mommy Blogger, and now busy building her community connecting the brands and bloggers. I always find her very friendly, and she’s like a breath of a fresh air. More photos from the event and the Vyne Tapaz. Apology but can’t help to share you their cool interior! So are you now SUPAH EXCITED to be part of BLOGGER BABES? In Blogger Babes, you'll learn a tons of things on how to start your blog, finding your own niche, how to attract more readers, creating your eye-catchy photos and posts, loads of brands-bloggers collaborations, and many MORE!!! This is one of the best part -- you should subscribe to their newsletter, and don't miss their FREE GIFT! Yeah, A GIFT -- to help you start and improve your blogging career. 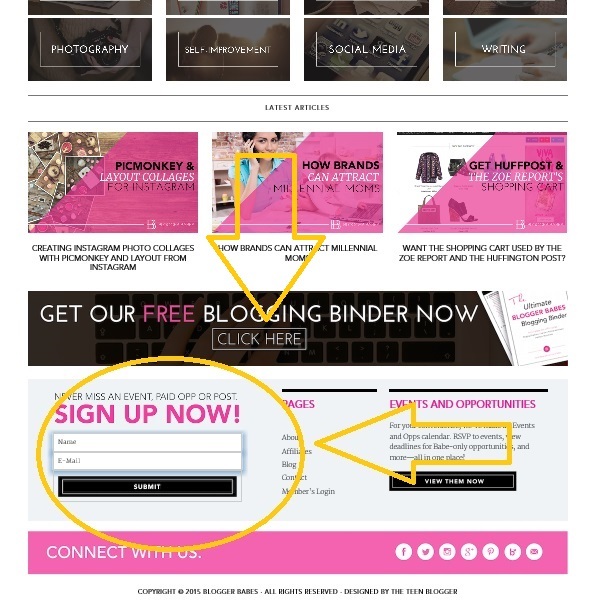 Click the portion above to gain access to the BLOGGING BINDER! Girls, if you are reading this post and you were also in these photos, please don’t be shy and say Hello to us! I HOPE THAT YOU'VE ENJOYED READING THIS LENGTHY POST, AND HOPING TO SEE YOU ON THE NEXT BLOGGER BABES EVENTS! See you on the next events and more posts!